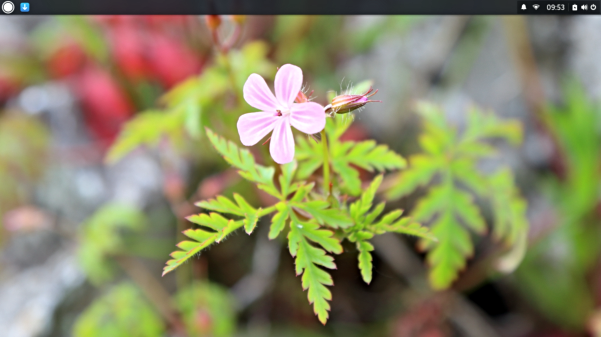 Solus is a GNU/Linux distribution that was first called SolusOS which first appeared in 2012. Back then it was based on the Debian core, and the desktop environment was GNOME2. But due to lack of manpower, the developers abandoned it in October, 2013. Then in early 2015 it reappeared, calling itself EvolveOS and this time it wasn’t based on any distribution. It also featured a desktop shell (a desktop shell is a basic GUI that gives the users with the ability to open & manage applications through a single interface. It’s the most basic form of a desktop environment in the sense that it merely provides a unified graphical interface to applications, nothing more. Where a desktop environment provides a desktop shell and a set of core user applications such as a file manager, text editor etc) that was created with the intention of being lightweight, modern & minimalist. It was called ‘Budgie’, and it was very closely integrated with GNOME technologies for rendering the desktop experience. Then after about another two months it was renamed (yet again) to Solus, although, the rest of the architectural elements of the operating system remained unchanged. It is actually this nature of inconsistency of Solus (no disrespect intended) that kept me away from reviewing it. 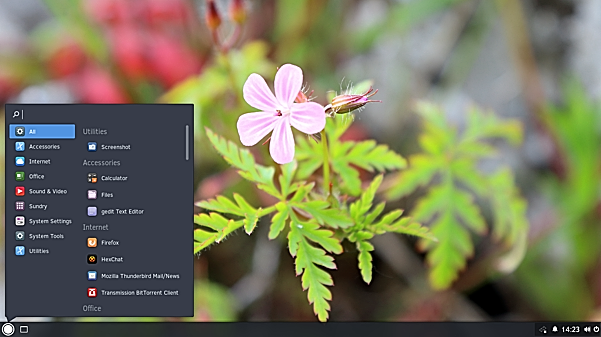 But then, a few of days ago I saw that a new version of Solus has been released (version 1.1). And since Budgie has been in active development for about a year, I thought now is a good time try it out. Well I did try it out, but it didn’t last more than a couple of hours. The desktop had couple of issues which were not serious, but then when I tried to install LibreOffice (it’s not included by default), it broke LightDM (login manager) and I couldn’t login to the desktop afterwards. And well, that was that. But before that happened, I was able to measure the usual performance related aspects that I measure when writing a review, such as the Boot-up Speed, Memory Usage and Shutdown Delay. And I quite liked what I observed. I also somewhat enjoyed the Budgie desktop experience. And it’s mostly due to these two reasons I’m writing this short review of Solus 1.1. Because I could easily notice that being an independent & a controlled distribution, they’ve been able to come up with a fast booting, lightweight & a modern looking desktop that also features a few core software tools that are built by the Solus developers. Let’s take the installer for instance. 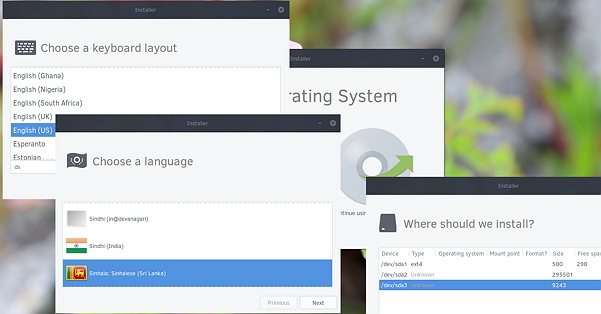 The installer is build from scratch by the Solus team. And I loved its simplicity. It’s easy to use and was also very stable (one of the key features of a good installer). I encountered no issues when using it. However, it doesn’t give an option to enable user auto-login, although it’s not the only such tool to not come with this feature. I forgot to test it out, but maybe you can enable it using the ‘User Accounts’ management utility. But I did enable it by manually editing the login manager configuration file anyway. Then I logged into the desktop and immediately noticed that some text entries look funny on the start-menu of the desktop and on some applications. I guessed what could’ve had happened (probably a character encoding issue), because I changed the primary language in the installer. While my language (Sinhala) support in GNU/Linux is a joke, when I do the same thing on many other distributions, they display what can be displayed and render the rest in English. Not Solus, though. 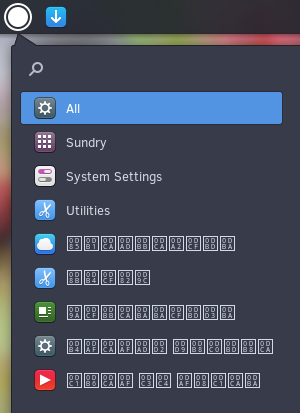 The easiest fix was to change the language from the Control Center (Solus use the GNOME control center) to US English. The control panel advised me to restart the computer for the changes to apply. So I did and I was pleased to see that it has been resolved. However, sometimes when I rebooted the computer, the desktop automatically rolls back to Sinhala and everything looks funny again. So for no reason I changed the language to US English again, and rather than rebooting (which is what the system was advising me to do), I turned the laptop OFF. And that fixed it finally. I rebooted the computer many times for measuring the performance related data, but I never came across it again. 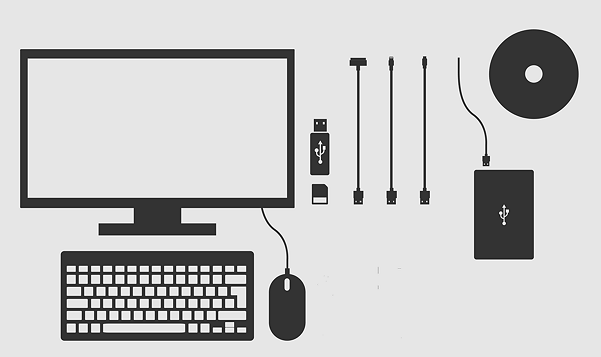 Another issues of the desktop was that the icons on the system tray area lost their arrangement once or twice. Sure it’s a not a big issue at all, but small issues like these indicate that the desktop is not fully ready yet. That said, before the system crashed, I liked Budgie. At first glance it looks a lot like GnomeShell, but there are many differences. Budgie desktop shell basically consists of a single panel (task-bar) and applets that add various functions to it (such as the start-menu, indicator icons, work-space switcher, date & time etc). For instance, you have a task-bar at the top section of the desktop. And on its top left corner you have the start-menu (very similar to the one LinuMint uses) applet. You can open applications from the start-menu by clicking on the icon of each category, or you can also search & locate them. Once an application is running, you can add/pin its icon to the task-bar by clicking on its icon on the task-bar and selecting ‘Pin to Panel’ from the menu as well. Then at the middle there’s a large area for docking the opened windows and adding shortcut icons. And then towards the right side corner, you have the usual system tray area where date & time and other indicators (applets) are running. When you click on the system tray area, it opens up a vertical panel that has a calendar, volume level and volume Input/Output controller settings, and then at the bottom there are three buttons for accessing the Control Center, Screen Lock and Shutdown (Logout & Restart included) the system. 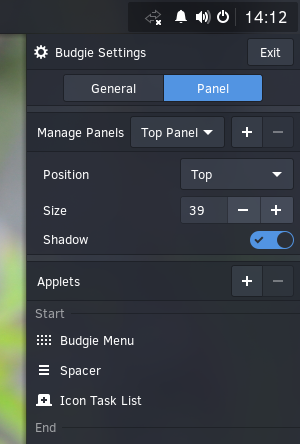 Budgie also lets you completely rearrange the desktop shell by changing the location & the size of the task-bar and by adding/removing applets. You can access this settings page by clicking on the small gear icon on the top of the above mentioned vertical panel. Using this window, I moved the task-bar from top to the bottom and loved the desktop layout afterwards. It also lets you change the themes as well. 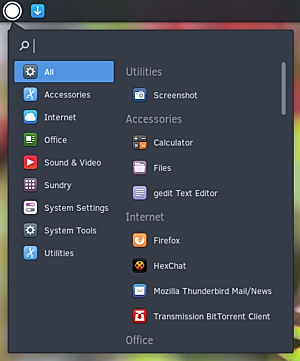 For a simple desktop shell, unlike GNOME, Budgie gives you a lots of customization options. I loved it. 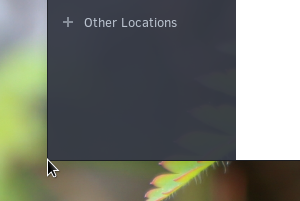 Another issue I noticed in the Budgie desktop shell is that not all the icons (shortcuts or icons of docked applications) on the task-bar show a label when you move the cursor over them. Some are basically nameless. And also when minimizing applications their icons sometimes disappear completely from the task-bar!. It’s very frustrating. Resizing GNOME application windows is another issue. That’s mainly because mouse pointer doesn’t indicate when you’ve reached an edge of a GNOME application window so you can start resizing it. The only way to do this right now is to guess when you’ve reached the edge of an application window and then press down the left-mouse button and resize it. But it’s mostly a hit & miss game. Very frustrating. Interestingly, this doesn’t happen on non GNOME applications such as Firefox. Desktop after moving the task-bar to the bottom of the screen. The file manager didn’t also recognize my two logical volumes (these are especial type of partitions that can be resized somewhat easily. They’re mostly deployed in server environments) where Ubuntu 15.10, my main operating system, resides. I tried many things but nothing worked. 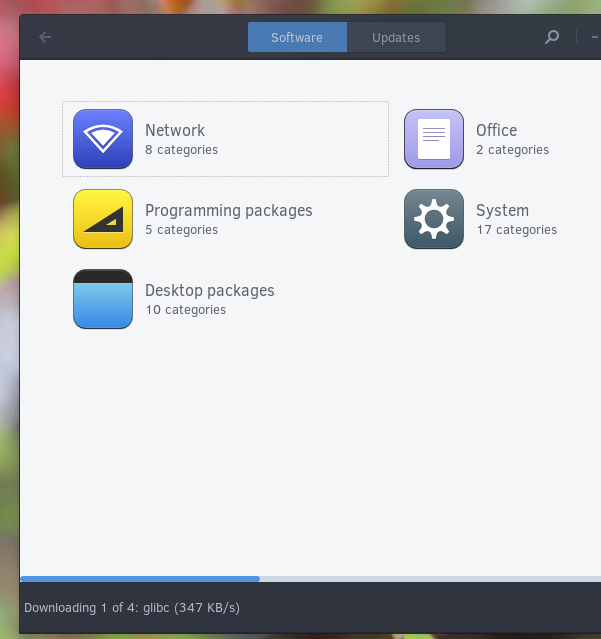 Solus also comes with its own software center (it’s actually a GUI written in Python that uses a command-line based package manager called PiSi) that includes a reasonable number of applications (LibreOffice, SMPlayer, GIMP, Evolution, Thunderbird, midori, lynx etc). But when compared to the software base of popular distributions, it’s just not that much. And since Solus is not directly based on any major distribution, you can’t install .deb or .rpm packages on Solus either. So when it comes to choosing software applications as end-users, your options are somewhat limited. And one other thing I noticed after opening the software center is that even at idle, it consumed about 25% of my CPU constantly. It’s actually a process called python that used the CPU, but since this happens when I open the software center and since it’s written in python, it must be a bug in its coding. I first noticed it by the suddenly increased noise level of my fans. Yes I tested it many times, and this issue was there every time. Recall the application window icons disappearing issue I mentioned earlier. The software center also suffers from it!. The only way to bring it back was to re-open it through the start-menu. This issue however, didn’t brake any of its current tasks. So for instance, if you were in the middle of installing an application when this happened, then once you re-open it, it might be finishing things up like nothing happened. On the bright side however, I like the overall simplicity of the software center. Installing software is so easy due to the excellent design. The first reason I was using the software center was because I wanted to install LibreOffice. I wanted to install it because I couldn’t find a good number of resources intensive applications. And I wanted to find resources intensive applications because I wanted to test the responsiveness of the operating system. So I went ahead and installed LibreOffice and then restarted the computer to clear any cached data. And then, rather than loading the desktop, I was greeted with an ugly text login indicating that something went horrible wrong with the login manager (it’s the utility that starts the graphic user interface, such as the desktop, of an OS). I tried a couple of things but nothing worked. Then I fired up the command-line software installer and looked at the new packages the system installed when I installed LibreOffice. It had installed a few new packages, and interestingly updated systemd (a core utility that manages system services. A system service is a process that runs in the background with or without the user’s knowledge), & my I guess is that it may have been the one that broke LightDM. And, well, that was it. I have however, decided to include the Boot-up Delay, Memory Usage and Shutdown Delay data that I gathered so that you can get a rough idea of the type of performance Solus can deliver. It’s basically, a fast loading and a lightweight desktop. It’s a shame it had to end this way, though. I have compared it with Ubuntu 15.10, but it’s unfair for both these desktops to compare one with the other. Because they differ so much from each other. 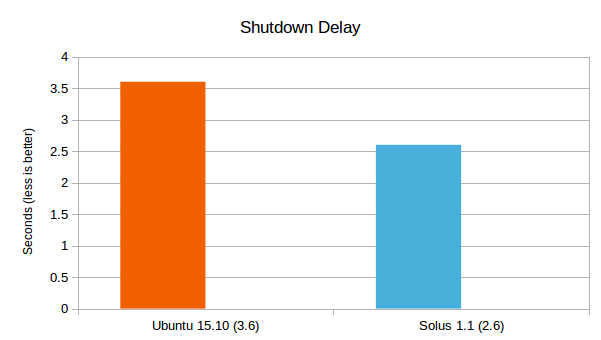 But I just wanted to give you a rough idea of the performance of Solus. Also remember that I had enabled user auto-login before measuring these data and I boot into the OS a couple of times for letting things to settle down as well. And except while fixing that language related issue & adding the system monitor icon to the panel (to measure the memory usage and also to avoid using the start-menu to open it, which can unnecessarily increase the memory usage otherwise), I did not touch the newly installed OS before measuring these data. I take a lot of extra precautions when measuring them in order to keep their accuracy high. As you can see, Solus 1.1 was able to boot into the desktop 5.8 seconds before Ubuntu 15.10 did, which roughly equals to a 20% reduction. That’s a lot as far as boot times are concerned. I would also like to remind you that while both Ubuntu and Solus use systemd for managing system services, Ubuntu uses a especial utility (especially designed for the slow rotational hard disk drives) of its own called ‘ureadahead’ that significantly reduces boot-up times (around 30-40%). But Solus use the generic version of systemd since it’s not based on Ubuntu (or any distribution for that matter). While the generic version of systemd too used to include a utility called ‘readahead’ for the same function, unfortunately, it’s no longer maintained by the systemd developers as I explained in my Fedora 22 & Fedora 23 reviews. 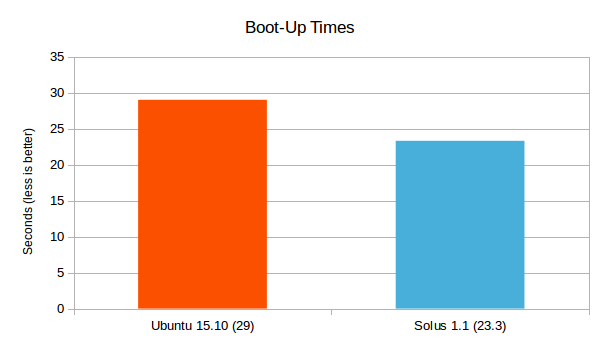 Had this tool been present, Solus could’ve been able to further reduce the boot times by around 30-40% (7-9 seconds) easily!. Budgie desktop shell used about 31% less memory compared to the Unity desktop shell of Ubuntu 15.10. Yes it’s impressive and Budgie is very much a lightweight desktop that its developers guaranteed, but, again, there are many fundamental differences between the two shells features-wise. 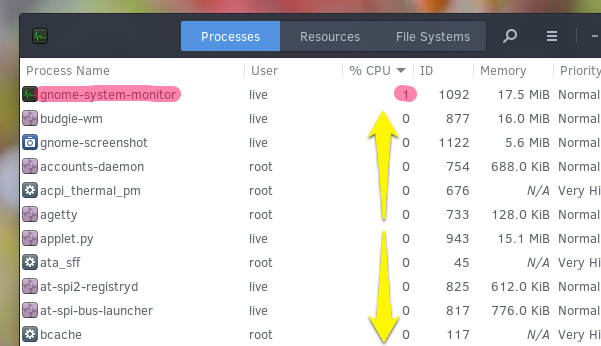 Since Budgie uses the GNOME desktop applications, Budgie behaved very similarly to GNOME where at idle (no active user applications), except for the system monitor itself that kept consuming 1-2% CPU usage, other processes did not interact with the CPU at all for long periods. It was excellent actually. Guys, I don’t have the power consumption data with me because the battery (this is the second one) of my aging Dell laptop is about to die. It can’t possibly survive the amount of time that’s required by the utility that I use to measure the power usage. So I didn’t even bother trying. As I mentioned earlier, the system broke even before I could even start it. But since it’s based on GNOME, I bet it could’ve been quite responsive under high I/O load. Solus 1.1 recognized most of my hardware devices and configured well the ones it recognized. However, there was no Bluetooth indicator on the desktop, but there is a Bluetooth application, and it had recognized my adapter. I guess they haven’t yet added a Bluetooth indicator applet to the desktop (there’s an applet for the GNOME Network Manager, though). The desktop also failed to graphically indicate whenever I increased or decreased the brightness level of the display screen. There was also no option to Suspend the system, so I couldn’t try it either. Other than these small issues, I don’t have any major complains as far as the hardware recognition and configuration is concerned. Solus 1.1 was 1 second more faster when shutting down. Saying it was ‘1 second faster’ might not sound like much, but when you convert it into a percentage (a relative score in other words) which is 28%, suddenly it becomes impressive. It was quite fast when shutting down actually. I love to fine tune things. Not that I excel at it, but I’ve done my fair share of ‘tests’ in the past, purely out of enthusiasm. For instance, I’ve tested preload (a program that lets you open up frequently used applications fast), Zswap (a utility that increases RAM’s ability to store more data by compressing them), and my personal favorite, BFQ (a utility that increases the responsiveness of your operating system -- it really does!). My point is that, I have seen lots of distributions while reviewing that are poorly optimized (even some major distributions, except Ubuntu). But from the look of things, I think Solus 1.1 is a well optimized operating system. I say that with a certain sense of confidence because I have also seen operating systems that feature lightweight desktops that still boot slowly. This mostly happens when the system has unnecessary amount of services that are run during booting. And when that happens, it also slows down the shutdown times as well. But Solus 1.1 excelled while both booting and shutting down. But at the end, all that energy feels like wasted because of the issues the desktop and the system as a whole suffers from. So my humble suggestion to the developers is that they should first put more manpower to improve the coding and getting rid of these nasty bugs. And once things stabilize (say from an year from now -- no need to hurry, all good things take time), then I’m confident that they’ll be easily able to optimize the system. Otherwise, Solus might run the risk of failing again. Coming back to my readers (the end-users), I do not recommend Solus 1.1, yet. I’ll wait another year at least before trying it out again. Oh and, not everyone that tried Solus 1.1 have encountered the issues that I did. For instance, Gary over at EveryDayLinuxUser.com is fairly happy with his experience, but he too seems to have faced a couple of issues. And he does a far better job than me exposing things that matter to most end-users (I’m more of a technical guy I suppose). Well, other than that, I think I’m done here. The ‘mini review’ got a bit bigger, my apologies 🙂 . Thank you for reading, and visit the Solus webpage if interested. I installed it and liked the Budgie desktop and the light feel a lot. I didn’t like the package manager though. I know what I am looking for, so it is kind of okay. But what about the newbie? I am sure the developers will improve it one day. Eventually, after trying to fine tune the Budgie desktop it locked up and crashed. What pity. I like the way it is heading (thanks developers) but I need something more stable. I’ll give it a go again in one year too. Thank you for the input 🙂 . You’re welcome Paulo 🙂 . Just a late follow-on comment: The 1.2 release is a completely different beast! My system is by no means cutting edge, early i5 CPU, GTX660ti GPU, 16GB RAM, and a mix of HD and SSD drives. Power-on to desktop is achieved in about 8 seconds, allowing for the fact that I have to sign in. Power off is about 2 seconds. A late August update improved things for Skylake CPU owners, but even with older hardware I saw massive performance increases as well. 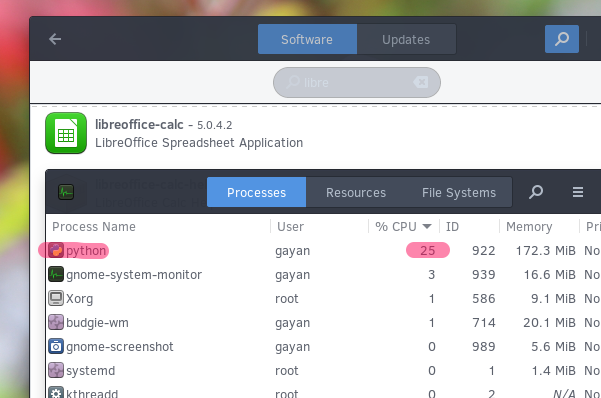 Strictly by the numbers Ubuntu isn’t even on the same playing field, and as far as Budgie and native apps go, I have no complaints now, despite your observations in Solus 1.1 being on the nose. Thank you for the update Nannji. i have install it, but i got a problem with bluetooth device. i can send file using bluetooth, but i can’t receive file using bluetooth. would you mind to help me? anyway, i love to use solus.